Based on interviews with: Lynette Aytch, Director, Leadership Development Institute, Zero to Three, Washington DC, USA & Mark Elliott, Global Leaders Program, Director, World Forum Foundation, Washington DC, USA & Anita Gurgel, Education Consultant, Africa Early Years Fellowship, The World Bank, Washington DC, USA & Kay Lankreijer, Programme Coordinator, Bernard van Leer Foundation, The Hague. 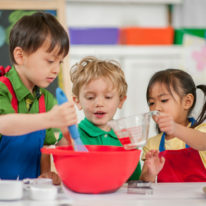 As the conversation shifts from ‘why invest’ in the early years to ‘how to invest’, there is a need for leadership in the field of early childhood to champion, implement and advance the field and bring about breakthrough change at scale. A growing range of initiatives is responding to this need. Earlier this year, the World Bank’s Africa Early Years Fellowship welcomed its first cohort of participants, and the Bernard van Leer Foundation held its second one-week residential course in scaling early childhood initiatives at Harvard University’s John F. Kennedy School of Government. These initiatives join two more long-standing leadership programmes: the 18-month Zero to Three Fellowship, which has run since 1981, and the World Forum Foundation’s two-year Global Leaders programme, which began in 2004. Zero to Three Fellowship Participants define a personal ‘action plan’ and pursue it over the 18-month course, helped by virtual monthly meetings, four in-person retreats, coaching, and mentoring. The current cohort consists of 15 participants; since 1981, over 280 professionals from across the USA and nine other countries have completed the Fellowship. Global Leaders for Young Children A two-year course including online and in-person meetings, aiming to developing a community of advocates for young children. The current cohort comprises 33 participants from 21 countries; since 2004, more than 200 have participated from 61 countries. 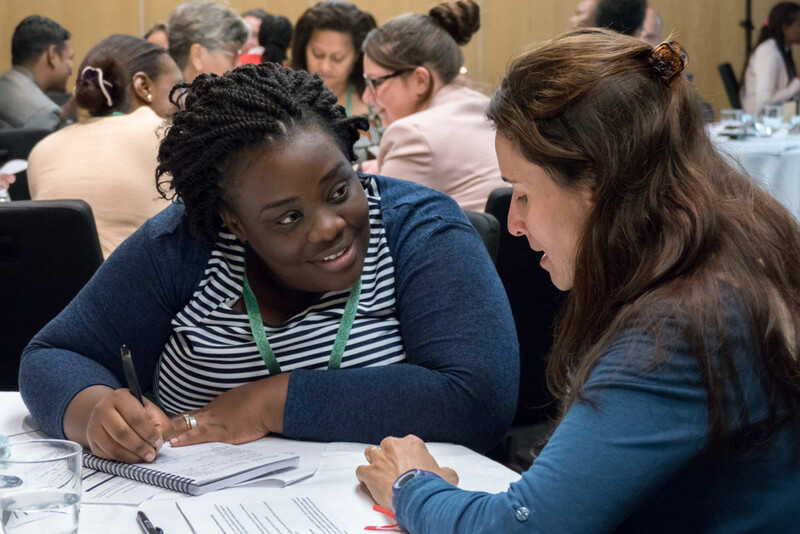 Scaling Early Childhood Initiatives The Bernard van Leer Foundation- funded one-week residential course at Harvard University’s John F. Kennedy School of Government is now in its second year. The inaugural course in 2016 had 40 participants, and 44 participated in 2017. Africa Early Years Fellowship The first cohort of 20 participants began work in March 2017 on an initial one-year contract working for the World Bank on early childhood, combined with virtual and in-person learning and mentoring. We targeted young professionals, aged 25 to 40, from Africa and based in Africa. They came from a wide variety of backgrounds. Some are doctors or nurses, some are teachers or have PhDs in education. 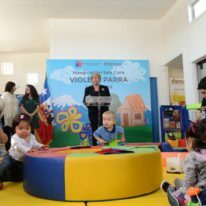 We have economists, health financing specialists, child protection experts, public health and nutrition professionals, university professors, entrepreneurs and authors, emergency workers with experience in refugee camps, and former government officials from a variety of ministries serving mothers and young children. From the applicants, 20 were selected and are currently based in 14 countries in Africa. Earlier this year, they each began an initial one-year contract, which can be extended for a second year, involved in several multi-sectoral early childhood programmes, working with a World Bank team to support their country’s government. The work is combined with professional development including mentorship, a ten-day orientation in Washington DC, a one-week fieldwork experience, in-person workshops and an online course on the science of early childhood, in partnership with Aga Khan University. African governments are increasingly requesting support to scale-up investments in the early years, and demand from parents is growing as well. But delivering those services at scale and with quality is a hard task even for developed countries, and even more for developing nations. The Fellowship will build the capacity of participants to advise and support African country governments on delivering for young children and their families, reducing their reliance on technical assistance from abroad. Another aim of the Fellowship is to raise the profile of the early childhood sector among young African professionals, by demonstrating that it can be a viable and prestigious field of study and work. The Fellowship gives significant opportunities for learning on the job and professional growth. Programmes to groom young business leaders have been common for many years, and the social sector is also increasingly appreciating the value of investing in developing competent professionals through leadership programmes. increasingly shifting towards a regional focus, working closely with regional early childhood-focused networks such as ARNEC (Asia Pacific Regional Network for Early Childhood), ISSA (the International Step by Step Association) and the Africa Early Childhood Network (AFCAN). This is the third cohort to be organised around regional networks. "We believe that transitioning effective ideas to scale is the next frontier in early childhood development." 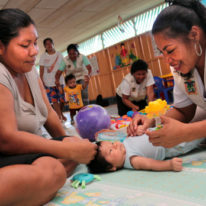 Meanwhile, the Bernard van Leer Foundation’s one-week residential executive education course on leading and scaling early childhood initiatives – in partnership with the John F. Kennedy School of Government at Harvard University – was originally inspired by a national initiative for participants from Brazil led by the Fundacão Maria Cecilia Souto Vidigal and the Harvard Center on the Developing Child. 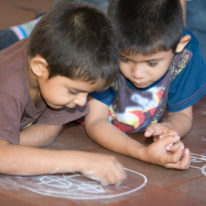 This course focused on teaching the neuroscience of early childhood development and now has alumni from the Federal House and Senate, from multiple political parties who together drafted a new law on promoting early childhood development, and municipal mayors who started implementing municipal policies for young children. Participants come from around the world in groups of around five to seven people who are all working on a specific initiative. We make sure that we include representatives from all the partners who are relevant to scaling that initiative or, more specifically, the working elements of that initiative – government, business, foundations, academia, civil society. There is preparatory work before the six days at Harvard, so all the participants come with practical challenges to discuss in relation to a real-world case they are working on. The course is divided into a series of lectures that provide different analytical frameworks for thinking about scale and another set that addresses specific skills needed to achieve scale such as leadership, team building and persuasion. Each afternoon, teams work on refining their scale- up plans and they then present to the whole group at the end of the week. It aims to get participants to think about issues such as what context is needed for scale-up, how to ensure reliable financial streams, how to make sure that new frontline workers continue the elements of the programme that first made it effective, and how to measure and monitor impact at scale. We believe that transitioning effective ideas to scale is the next frontier in early childhood development. We wanted to build a course that would give the people who are out there trying to make that happen an opportunity to step back, reflect and make a plan and, in doing so, to build a community of leaders grappling with and overcoming the challenges of scale together. "People with a strong voice and strong advocacy skills can move the needle on early childhood issues." People with a strong voice and strong advocacy skills can move the needle on early childhood issues, and a big part of the work is building a community who can support each other in this. Several of the current leading figures in regional networks were part of our earlier cohorts. Our mantra is: ‘once a global leader, always a global leader’. Zero to Three also has a strong network sense, connecting current fellows to each other and to past fellows. In 2012, it formally established the Academy of Zero to Three Fellows to help the alumni to sustain relationships and leverage resources, expertise and influence for their mutual benefit and support. Many of the programme’s alumni have gone on to senior positions in the early childhood field. Initially, in the 1980s and 1990s, the focus was on mentoring ‘knowledge creators’; by the turn of the century, that had shifted to recognise the growing need for ‘knowledge disseminators’ to translate scientific research to a broader base of professionals and the general public. In the last few years, our ambition has been to cultivate ‘change agents’, with a focus on adaptive leadership and collective impact theory – that is, an understanding that substantial change is not accomplished alone, but is a collective effort. With the Zero to Three Fellowship and the Global Leaders programme having been joined by the Harvard course and AEY Fellowship, in the future more leaders will be able to scale early childhood interventions all over the world, at all levels. "It can be difficult to find funding for leadership development because there is an assumption that “leaders are not made, leaders are born."